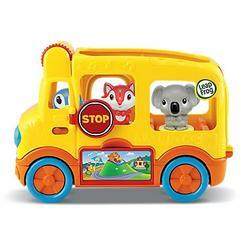 Explore new places, songs and activities with a school bus geared for pretend-play fun. Visit the beach, head to the library and go on a picnic. Each adventure has its own song and phrases! 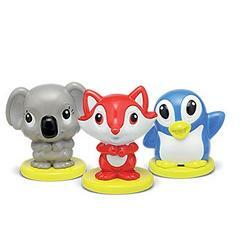 Includes Koala, Fox and Penguin. 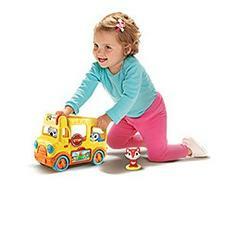 Add more Learning Friends characters and the Play & Discover School set (sold separately)! Roll the destination sign for a special verse of Wheels on the Bus. Push the driver's seat button to start an adventure. Get language skills rolling with more than 20 playful songs, phrases and sounds. Recommended Age : From 2 to 5 Years Old.